A car accident is not something that you want to think about. However, in the aftermath of an accident, the first thing you should do is seek medical treatment immediately if you have been injured. It is important to have a proper record of your injuries when you later start your personal injury claim. Waiting until weeks after the accident will cast doubt on your claim of being injured in the crash and will cause skepticism with the insurance company. You should always do a follow-up visit after you initial appointment. It is likely that your regular doctor or the doctor at the hospital will recommend at least one follow up to check on the status of your injuries. If you fail to keep your follow up appointment you are risking not only your health, but also your claim. It is important for your overall well-being that you are compliant with any all recommended medical treatment. Make sure you specifically describe your symptoms to your doctor, including any ways in which your life is affected as a result. Prepare questions for your doctor before the appointment and ensure that your questions are answered to your satisfaction during the appointment. Arrive on time to your appointment and do not cancel an appointment unless there is an emergency. Follow any and all medical advice that you are given with regard to physical activity, working, etc. If you are unsatisfied with the results of your medical treatment, seek another opinion from a second doctor. Sometimes you may need to search around for awhile until you find the right doctor. Take the healing process slowly. Not all car accident victims recover from their injuries in a day or a week. Your body needs time to recover from the immense physical trauma of a car accident. We know that the process of experiencing a car accident is never enjoyable. However, it is important that you remain focused on your recovery at all times following the accident. 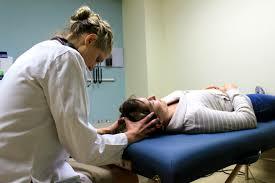 The most vital thing you can do at this time is seek expert medical attention to treat your injuries. To discuss a personal injury claim with us today, please call our office at 617-367-2900.